Rod Hore of HHMC takes us around the world for an analysis on how our domestic markets might likely be affected by the geopolitical events in Europe, the United States and Asia. Joanna: Hi it’s Joanna Oakey here and welcome back to the Deal Room podcast. Now today we’ve got an interesting podcast lined up for you. We have a lot of geopolitical events going on at the moment. We have Brexit. We have Trump. What impact does all of this uncertainty have on the Australian M&A market? To dive into this topic more, I’ve invited along Rod Hore from HHMC Global. I’ve worked with Rod and Richard at HHMC on many deals with offshore-based buyers and I know that they both regularly travel to keep a strong pulse on the global markets and movements in M&A. So Rod, hello! It’s so good to have you back here again on the Deal Room. Rod: Thank you, Joanna. It’s a pleasure to be here. Joanna: Great. Look I have to say that I really enjoy all of our discussions, Rod. And I feel like we’re all in for a treat today to talk about some of these interesting international topics and maybe delve into the relevance of those topics to our little market here in Australia. So let’s dive straight into it. Let’s talk about Brexit. Let’s talk about Trump. What’s your analysis here of the likely impact of these types of geopolitical events? Rod: Yeah. Look there is no doubt that it’s very hard to avoid any conversation anywhere in the world that doesn’t have some analysis of what’s going on at a political level. And in terms of being a business owner, it really does impact you because not only are all of the normal things that we used to talk about like distances are shrinking and technology and social media are becoming enablers for us to do business anywhere at any time but we’ve got these political activities that are just jumping all over us and occupying the airwaves and occupying the mainstream media. Joanna: Absolutely and that creates uncertainty. 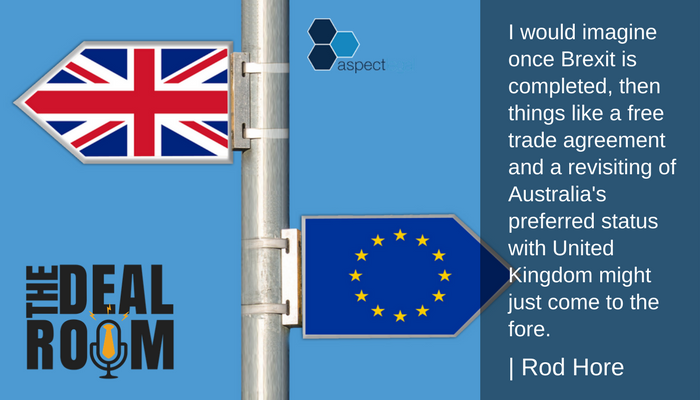 Many people I hear talking around the traps start talking about what impact might Brexit have on us here in the Australian market. I know we’re a long way away from all of these other countries and the uncertainty politically. But it does have impacts and it will have impacts into the future I feel. What do you think the risks are? Where do you think the opportunities are at the moment? Rod: Yeah. I love to talk about this because it is having a major impact and I think it’s not one of those things that you can put a common brush across and say that all of these international changes are having the same impact. And I think the impact country by country or region by region is quite different. So specifically with Brexit, when you’re in the United Kingdom, when you’re talking to business owners there they have a very international view of the world and they don’t just operate within their own country. They operate across borders quite naturally. So it’s not unusual for somebody to be sitting in London and doing business in Germany or in the Netherlands or somewhere else. And so therefore, Brexit actually has a direct and valid impact and change on what they see their business is going to be in the future. And it does come up in conversation and that’s a major part of what they’re thinking about and how they’re trying to plan for the future. Joanna: And how are they planning for the future? What are some of the strategies that organisations are putting in place at the moment? Rod: One is to make sure that they aren’t just European-centric. I work strongly in the recruitment industry and have that focus and already we’re seeing a massive number of UK companies starting to do business in other locations. So for example the investment between the United States and the United Kingdom I think has gone up incredibly in the last couple of years since Brexit has been talked about and the vote was taken. And from a very selfish point of view, as an Australian I also look at our position and how we might be able to take advantage of what’s coming in the future as well. So the Far East investment into Asia has been quite strong over the last decade or two. But I see that the potential for Australia is very very strong. So that could be in all sorts of areas. So for example we might not have ever created a free trade agreement between Australia and the European Union because there’s too many conflicting components there. But I would imagine once Brexit is completed then things like a free trade agreement and a revisiting of Australia’s preferred status with United Kingdom might just come to the fore. Joanna: Interesting. There’s two impacts that I’m particularly interested in. What impact might that have on businesses within Australia and what impact might that have on the M&A market for Australian businesses. I guess there’s sort of two different opportunities here or interesting areas. But maybe firstly in relation to what impact might that have on our market here. I guess you’re suggesting that maybe in a very simple form there’s more buyers potential here for Australian companies. Rod: Yeah. Look one of the things that I think will happen is trade as I mentioned, and I don’t have anything directly to do with that. But I think any time there’s an increase in trade between two countries, then a lot of other things follow and the services industries do follow and grow. But I think the really important thing will probably be the improvement in the way that Australians can go and work in the UK or have their qualifications recognised in the UK and similarly UK qualifications recognised in Australia. And that leads to an easier movement of people between the countries. And for the recruitment industry I see that as being a massive opportunity where Australian companies will want to be based and have an investment in the UK and vice versa. I think UK companies will look at Australia in a very positive manner. And we see that a little bit already. And I just think it will increase in the future. And so I’m very very positive about the way that we will work together and the preferred status the two countries will have in the future. Joanna: And so as a consultant in the M&A area then, does this impact the strategies that you put in place or the areas in which you play? I mean how does this impact your view of the market in terms of what you’re doing and how you interact with it. Rod: Well I’m very pleased there is a direct flight between Perth and London now because I’ll be using it a little bit more than I would have in the past. I don’t think it will have a direct impact on valuations. I think we’ve already seen quite a change over the last five years or so in terms of maturing of the market in Australia and positioning of the different types of companies and where they’re valued and how that’s going to be valued in the future. So I think that’s pretty well done. What I am hoping to see is that I hope there will be more private equity investment in Australia. Within the recruitment industry, there is strong private equity investment in both the United States and in the United Kingdom. But very little in Australia. And that’s one benefit that I would hope would come because the private equity investment leads to almost a pull factor and makes companies want to be better to be able to meet the criteria that those guys set. And anything that raises the overall quality of what’s going on within the industry is a positive thing. Joanna: And I guess on the flip side we’re talking here about opportunities. I’m also interested to understand whether or not you think there’s any threat that Brexit might pose. Is there anything that you’re seeing on the radar that Australian companies who are perhaps thinking about maybe selling in the future at some stage should be aware of or be thinking about in terms of risks or threats coming from these changes? Rod: Yeah, possibly. It’s a bit hard to tell. I mean nobody knows what Brexit is going to be. Nobody knows what their rules are going to be. Nobody knows the timeframe. And so it’s very difficult to actually be concrete in terms of either benefits or risks. But the European Union does seem to be exerting or flexing its muscles a little bit. And the latest privacy laws they’re bringing in which come in a few months’ time – the GPRS seems to be one of those examples of where they’re flexing their muscles. We’ve all got used to the United States making very authoritative positions in terms of saying we will be able to access your data no matter where it’s stored. And now the European Union is sort of stepping up to that level by saying I don’t care where you are in the world you’re going to have to follow our rules on these things. And so how all that evolves and how the two regions start shaping up against each other will have an impact on us and will have an impact on the way we do business and how we do business. But I try not to think about the negatives too much because I think there are some positive things that are going to come out of this. And when there’s change there is usually opportunity and Brexit is certainly a change. But it does need to be taken into account with all of the other countries and all the other countries are doing things like Japan and the United States and so on. Joanna: Yes and then I guess that leads into my next question. We’ve talked about Brexit. We’ve talked about the UK. What about outside of that set of geopolitical issues? What else are you seeing in terms of major trends internationally? Rod: The media likes to talk about the United States and Trump and you’ve mentioned Trump already. I’ve spent a fair bit of time in the United States over the last couple of years. And what I’ve been surprised at is that once you get within the group of business people, politics is never mentioned. Their local economy is so strong. The business opportunities are obvious and in front of them and they’re just getting on with it. And so even when there’s things like talks about Visa changes and so on, they just sit down and work out how to deal with it and they get on with it. And so politics doesn’t actually take up that much time in the business owner’s mind in the United States. That may be an oversimplification. And their domestic market is so strong that international activities sometimes are easy to just dismiss and carry on with what they’re doing and what’s in front of them. And so when I look at services industries like the recruitment industry we hope that they start looking more internationally because that will have a major influence on whatever happens in the world. But at the moment there’s a very small percentage of companies that actually move outside their own domestic region. 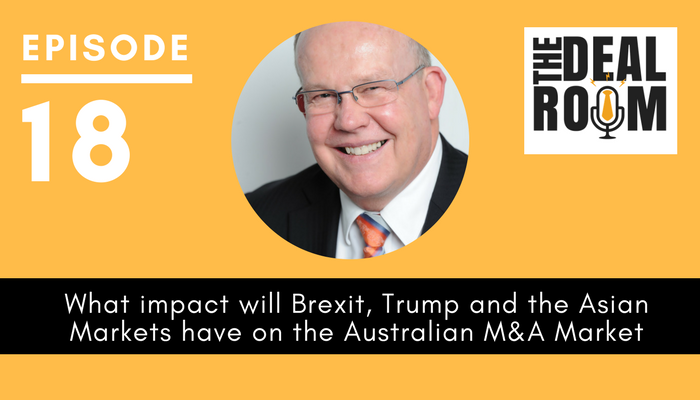 Coming up after the break, we continue our conversation with Rod Hore of HHMC Global and look into the trends in the Asian markets, in particular Japan, China and India – and how these trends impact our M&A environment here in Australia. And finally, Rod wraps up by giving us a helpful criteria for businesses wanting to open themselves up to potential buyers from international markets. And that’s next. 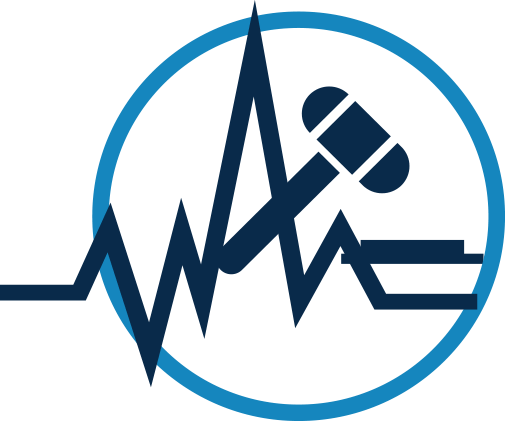 I’m Joanna Oakey and you’re listening to the Deal Room podcast. Aspect Legal has a number of great services that help businesses prepare for a sale or acquisition to help them prepare in advance and to get transaction ready. And we’ve also got a range of services to help guide businesses through the sale and acquisitions process. We work with clients both big and small and have different types of services depending on size and complexity. We provide a free consultation to discuss your proposed sale or acquisition – so see our show notes on how to book a time to speak with us, or head over to our website at Aspectlegal.com.au. Welcome back! Earlier, Rod gave us his analysis of how our domestic markets might likely be affected by the geopolitical events in Europe and the United States. Let’s keep the conversation going and shift the lens over to Asia and discuss how trends in Asian markets impact our local M&A environment. Joanna: Interesting. That’s very interesting. And I guess my next question to you probably moves then to Asia. We have a number of common clients coming out of Japan. That seems to be an area at the moment that is quite active in terms of investment out of Japan and into countries like Australia. What sort of themes are you seeing coming out of Japan at the moment? Rod: Yeah. Japan is fascinating for the recruitment industry and for Australia in particular. They have purchased a major percentage of the Australian recruitment industry over the last four or five years. It’s approximately 20 percent of the domestic market has been acquired by Japan in the last while. And there’s this perfect scenario of them being able to do that where they have low interest rates in Japan. They have very low interest rates, lower than Australia. They have a lot of cash. It’s a savings the economy and the banks have a lot of cash. Their domestic market is not looking that strong out in the future. It’s actually declining and there’s a very strong nationalistic feeling there with the Olympics and World Cup Rugby and all of the things that are happening and putting attention on the country of Japan. And so there is this moment in time for strong Japanese companies to step outside Japan and create global entities. And they are doing that and they are doing it rather well. And so they are a driver of M&A, not only in Australia but also in Europe and the U.K. and in some instances in other locations as well. And so we’ve seen the result of that. And I don’t see that’s going to slow down for the remainder of this decade. So I think we’ve got another three or four years of that very positive activity. Joanna: I was looking at some statistics recently that suggested that last year around about a quarter of mid-market acquisitions of Australian companies had offshore based buyers and certainly saying here in the recruitment industry it looks like we’re at 20 percent with Japan-based companies itself. So I have a feeling recruitment is probably a little bit higher than that 25 percent offshore figure. Let’s start with Japanese companies buying into Australia. Let’s start there. What are the type of businesses that Japanese companies are particularly looking for? What’s the key criteria for business here wanting to open itself up to the potential of buyers from international markets, in particular Japan? What should they be thinking of in terms of setting up their businesses so that it’s most attractive? Rod: Yeah. That’s a really good question because there is a lot of misconception there and the recruitment industry especially is an industry that allows people to start a business and there are very low barriers to entry. And so you have a lot of start ups and a lot of small businesses. And it’s very difficult for sometimes the owners of those businesses that are quite profitable and strong in their own right to understand how an external party might view them and the risks and the criteria that an external party and an overseas party might put when they come in to look at those organisations. And what it comes down to is that there’s only a very small percentage of the companies that meet the criteria of satisfying an overseas buyer. So for example if you’re coming from one culture to another if you’re coming from a long distance away to another area then you’re looking for things like stability, like strength, management team, sustainability, size. So you’re looking for all of these criteria that most organisations in the recruitment industry in Australia don’t have. And being able to build that sort of corporate environment and get above average in size, above average in performance and so on is a complex and time consuming task and not that many organisations get to that level where they become attractive to an overseas buyer. Joanna: And I guess that thing creates quite a long shopping list for our owners who are looking to ready their business. But I think as we mentioned before in the podcast that we recorded together which I think was episode five and episode six. Joanna: It was five and six? Perfect! Five and six for anyone else who wants to go back and have a listen to those podcasts. We talked about the benefits to a business in building itself up to be a saleable asset in any event because it makes it a better business to run. The same is true here in the discussion about setting your business up. If you are considering a sale in the future at some stage to be attractive to offshore entities. You’re putting that bar even higher in terms of the standards that you need to be creating internally. But as we said before it’s in trying to attain that goal you’re also building a better business as you go that is better to run. Rod: That’s right. And some people see these things as an exit strategy where somebody is going to come in from overseas and write me a big cheque and I’m going to disappear and sit on the beach. And that’s really not how it is. People are looking to invest in growing businesses and they’re looking to harness that and work with like-minded people out into the future. And so sometimes an investment from an overseas organisation is for less than 100 percent of the equity and it’s about building a joint business plan to go forward. And so people need to have this medium term view of what they’re going to be able to achieve and the growth they’re going to be able to achieve and how the two parties can add value to each other. And so it’s sort of like, but not like, listing your business where listing and becoming a public company is also not an exit strategy. It’s just the start of the next phase. And quite often if you are looking to exit then that will immediately make you not attractive to an overseas buyer. 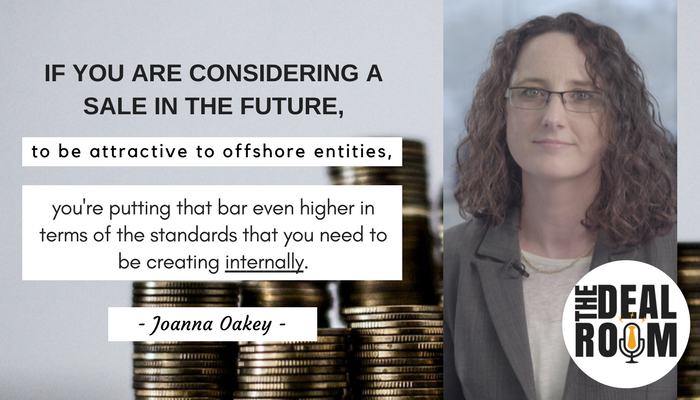 Joanna: And I mean you have quite clearly seen lots and lots of deals from offshore entities buying into Australia. Do you have a particular perspective on what makes a deal and transition post-completion of the sale most effective? Well sort of. And I guess some of these things that I’m interested here is the approach of the sellers themselves. Is there a particular type of business or seller that this really works well for? The second thing is that you can’t fake the sophistication and the complexity of the organisation or the corporatization of the organisation. So a lot of organisations are run, even though they might be sometimes large, they’re still run as a very owner-focused and owner-dominated business. And you can’t just fake that into the future. So building this sophistication not only in how you run your finances and so on, but also in your strategy, decision making and in your day to day management, delegation and structures going forward is really important because it gives you the strength and the capability to be able to handle change and to be able to work as a team to solve the issues as they come up. Joanna: Okay. They’re really good points. And then I guess on the flip side, are there things that you have seen that can be particularly problematic for businesses that are wanting to open their buyer market up to offshore buyers? I guess one thing that really pops to my mind at the moment is just quite a simple one, but one that I have seen create issues in the past particularly with offshore buyers which is complicated business structures because sometimes organisations in Australia like to over complicate business structures. And I have seen that that can be off putting sometimes to offshore buyers. Are there things like that that you’ve seen Rod that can create issues without the owners here realising that they’re driving in a particular way that is going to create issues? Rod: Yeah. Look it is worth emphasising what you just said because we just had another transaction fall over in the last week or two that was mostly around the sophistication of the financial accounts and the understanding of the balance sheet and so on. Business owners in services businesses understand their profit and loss statement really well. They tend to not understand their balance sheet very well especially when the business gets a little bit bigger. And if you combine that with a legal structure which is just wrong for being able to go forward and do a transaction, that always has personal tax implications that has a whole range of cost implications in terms of being able to get ready to actually do the transaction. And if those things are not sorted out ahead of time, it just becomes too hard and the buyer usually has choices or just go somewhere else because it’s too hard. So getting yourself really well positioned so that you are easy to deal with, you’re ready for the transaction and you make it not more complex than it needs to be is something that is hard to convince somebody of because it usually means they’ve got to go and spend time and energy and money to resolve the issues that they’ve got in their business and prepare themselves to make themselves a shiny attractive object and be ready for those conversations. Joanna: And I think as you’re talking it’s just occurring to me that I think some of the issues that sometimes occur when businesses think that they are going to put in place a plan to build themselves up for a future sale is who they are consulting at that point. Because if they’re consulting accountants and lawyers and other advisers who aren’t involved in the M&A space, sometimes they might not be getting the right advice in terms of how to make themselves look most attractive at that point of sale. So I think it’s also about engaging people like yourself who understand what makes the most saleable business and will open up the greatest range of buyers and looking at that early. But as I said getting the right people in place to help with that decision making early enough that decisions can be made and implemented to have an impact. Rod: Yeah, look it’s absolutely true. And so we have a long list of things that we like to ask organisations and that very broadly goes into two categories which is the internal things and I just mentioned balance sheet for example and getting working capital in place and getting debt sorted out and legal structures and management structures and contracts and all of those internal things that sometimes get left aside or don’t get focused on enough. But there’s also the external components which is how your image and how you are presented out in the marketplace and actually whether you’re a very insular company or not and whether you’ve actually been involved in your industry and what’s going on a global basis and you’ve socialised yourself with people overseas so that you can have that conversation when it needs to be had. And so there’s this sort of internal and external component that needs to go on. In addition to that, organisations need to be ready for the conversation by making sure that they are able to understand their business from a perspective of what an external person might want to talk about. So quite often in internal conversation, you might talk about growth or your budget or something like that. From an external perspective, people quite often want to know how you rate yourself against benchmarks or how you may look at yourself from a different perspective and being able to do that and be able to talk about it with the cultural differences that come from overseas is sometimes very difficult and takes a lot of energy to actually get yourself into that position. Joanna: So if I’m running a recruitment business and I’m really interested in all the things that you’ve been talking about here, what’s the first step that you would recommend to me? How do I practically go about being aware of the external environment, getting more involved from an international perspective of understanding where the Australian market is and what my business needs to be doing? Rod: Yeah. We do talk to a lot of organisations about that. It all starts with a cup of coffee usually and we’ll talk through what the goals of the shareholders of the business are and the timeframes that they’re looking at and just try and offer some reasonable advice in terms of where we think their priorities need to be and where some of the focus needs to be in the future. And that can’t happen if the owners of the business are deeply involved in the day to day running of the business because this is definitely a task where you need to separate yourself out so that you’ve got the time and the headspace to be able to think about the future. Joanna: What are you seeing in China and India and the rest of Asia, outside of Japan? Rod: Well within the recruitment industry, Japan is the number two market in the world. It’s actually a bigger market than the U.K. and most people don’t appreciate that. And we’re also sitting here in Australia and we’re very basically on the same time zone as two or three billion other people if you consider India and China and Indonesia just on our doorstep. And from an economic point of view, China and India are obviously going fantastically. And we haven’t yet seen the influence of the large companies in those countries starting to come into our country as they look to expand. So there are organisations that have started to expand within Asia but we haven’t really seen that come into the western countries of which Australia would usually be the first opportunity for them. Joanna: Right. So here’s your pick here. This is the next wave. Is that right Rod? Rod: I think so. Even though the recruitment industry is larger in China and there are more big companies in China, without any evidence to back this up, I think that they will have an influence probably in HR-tech rather than HR services. Before India which seems to be more service oriented and I would like to see some of the really good organisations that come out of India and offer their services around the world. Joanna: Fabulous. And look this might be a bit of a strange question Rod, but work with me. For M&A advisers who are in different industries, obviously we’ve spoken about you specifically work as a specialist in the recruitment industry, but where do you think the opportunities are for M&A advisors generally to up-skill themselves in their own industries in relation to the sorts of things that you’ve been talking about today for them to be able to provide more value added services over and above just broking and introductions to their clients. Rod: Yeah. 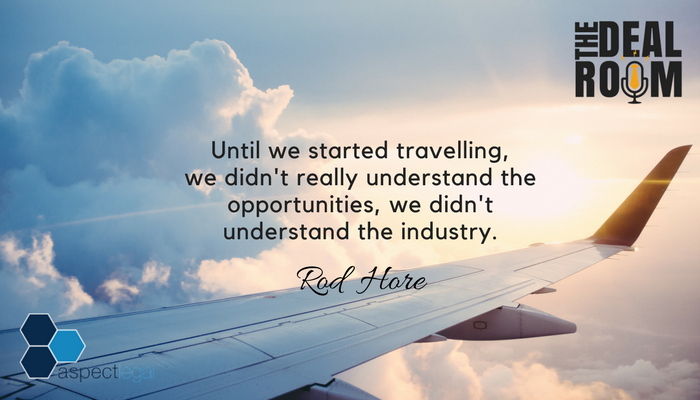 Look I think, this is from a personal perspective, I think until we started travelling, we didn’t really understand either the opportunities or we didn’t understand the industry. And so we’ve become ever devourers of global research. We travel a lot overseas and go to conferences and try and meet as many people as we can. We try and understand the differences and similarities between the different markets so that we can talk about that sensibly. But I also think there’s some technical things that you need to either learn yourself or align yourself with so that you need to be able to pull in the right people into the conversation or at least hand over to when it’s beyond your level of expertise. And that will be slightly different for every industry. But things like all the employment issues within the recruitment industry and what happens on an international basis, you need to be able to contact the right people and be able to solve your customer’s problem in that area or at least educate them in that area. Similarly, the impact of private equity and so on. So there are a lot of different topics there that only come from getting a really good global view of your industry and making sure that you can quite legitimately talk to people in a sensible way but from a very broad perspective. Joanna: Fabulous. Well, as always Rod you have shared with us some really useful insights. I think you have got a fabulous book that you have recently written and that you have available for free. Is that right? Through your website? Rod: Yes, that’s right. So on hhmc.com.au, we’ve provided an e-book “Business Valuations in the Recruitment Industry” and it’s available for download. And I look forward to any comments and questions you might have on that. Joanna: There’s lots of e-books around the place. But I just want to reiterate that that book is actually a really detailed look at valuing a business in the recruitment industry. And I think it’s important for people understand that whilst there’s a number of e-books out there, yours is actually a published book as well isn’t it Rod? Rod: It is. Look we have printed it and provided it to some of our clients. But it is available as a free download as well. Joanna: Yeah. Great. If you’re in the recruitment industry and you’d like to know more about valuing your business then you should definitely pop along to HHMC’s website which once again Rod, can you tell us that website once again? Rod: Yes, it is hhmc.com.au. Joanna: Great. Wonderful. Well thanks Rod. Thanks a lot for coming on our show. It has been illuminating as always. It was great to have Rod on board to talk to us about the commercial realities on our domestic M&A market of recent international events. But there’s also a few things from a legal perspective that are worth bearing in mind if you are a business that is gearing up for a potential future sale, and you think that you might want to open your business up to the potential of attracting buyers from international markets. From a legal perspective, as well as from a commercial perspective, you need to start preparing early. In this podcast we briefly touched on the issues that a complicated or inappropriate business structure can sometimes cause, and it’s really imperative that business structure is reviewed well before a possible sale. Because if a structure isn’t likely to be attractive to an offshore buyer, you might feel it’s worth restructuring in advance of the sale – and often restructuring is most effective when done well in advance. Choice of structure can also impact taxation outcomes on sale as well, so it’s certainly useful to be aware of these impacts well before you start engaging in any sale discussions. You should also be thinking about tightening up the legal protections within your business, so that they can withstand scrutiny during the due diligence phase. This is relevant in preparing for a sale, no matter who you are looking to sell to. But even more particularly relevant if you are looking at attracting a sophisticated corporate buyer who is willing to pay top dollar. These sorts of buyers are likely to have an experienced team working with them in the acquisition, and the better your business performs during that phase, the less likely you are to have your sale price impacted, or at worst, the whole transaction threatened. 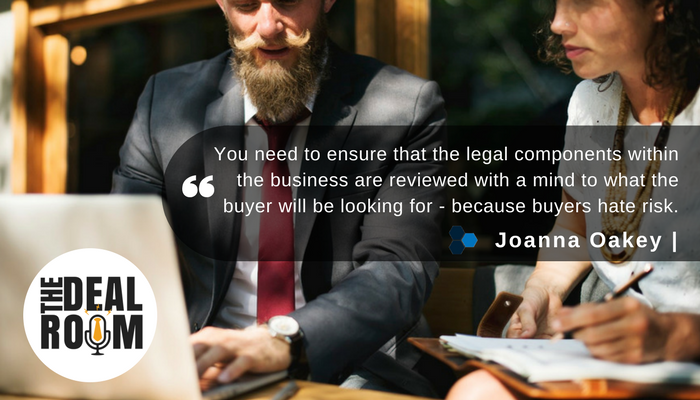 So you need to ensure that the legal components within the business are reviewed with a mind to what the buyer will be looking for – because buyers hate risk. You should be considering how your contracts will perform under scrutiny, how your organisation will be viewed from an employment law perspective, you should be looking carefully at what IP the business has, and how that IP is protected. And all of this should be done well in advance so crucial changes can be made well ahead of time – in order to provide you with the greatest pool of potential buyers, willing to pay top price. If you would like more information about this topic, head over to our website at thedealroompodcast.com where you will be able to download a transcript of this podcast episode, if you want to read it in more detail. You will find details there of how to contact Rod Hore at HHMC Global, and how to get a copy of his book which is essential reading for businesses in the recruitment industry. On our website you will also find details of how to contact our lawyers at Aspect Legal if you, or your clients, would like to discuss any legal aspects of sales or acquisitions – if you would like some assistance in reviewing your business for its readiness for a future sale. Or if you would like assistance in progressing through a sale or acquisition that is already in motion. And finally, I really hope you enjoyed what you heard today. If you did enjoy it, it would mean the world to me if you could please pop over to iTunes and leave us a review. Thanks again for listening in. You have been listening to Joanna Oakey and the Deal Room Podcast. – See you next time!